There are many health benefits locked within the leaves of black tea including the ability to aid digestive disorders, reduce high cholesterol levels and the polyphenols are known to neutralise free radicals that can cause cancer. Drinking camomile tea soothes the nervous system so that you can sleep better. It has been used as a solution for insomnia for centuries and is naturally caffeine free. With its anti-inflammatory and anti-septic properties, camomile helps in clearing up skin irritations such as eczema, acne, and allergies. Our organic Earl Grey has many health benefits locked within the leaves of black tea including the ability to aid digestive disorders, reduce high cholesterol levels and the polyphenols are known to neutralise free radicals that can cause cancer. The flavonoids present in bergamot oil are very good relaxants as well. They soothe nerves and reduce nervous tension, anxiety and stress, all of which can help with ailments associated with stress such as high blood pressure, insomnia, and depression. Ever since its discovery in China tea has been appreciated for its medicinal qualities. 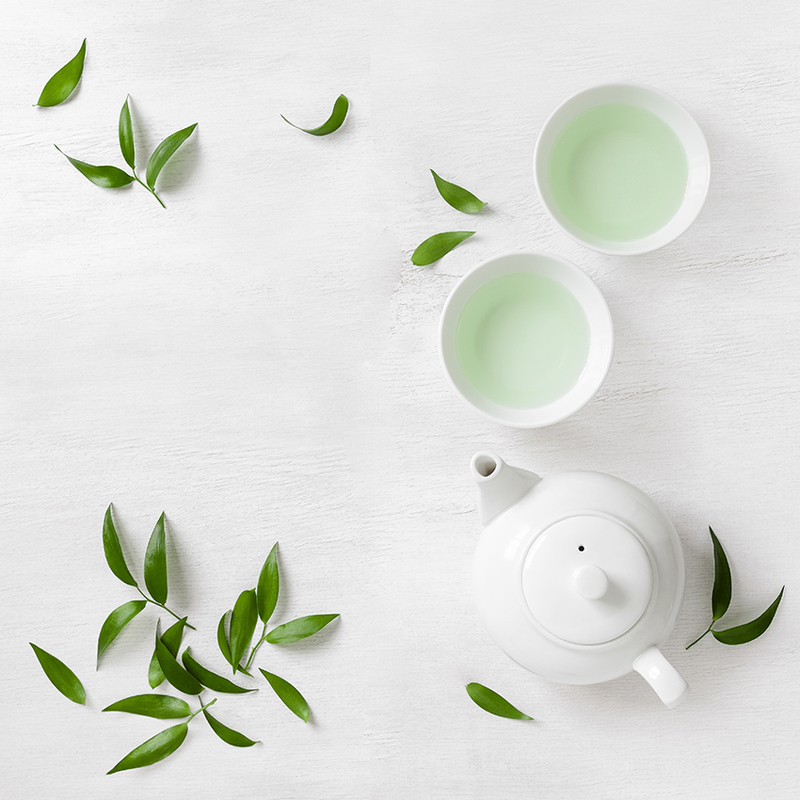 In more recent times research has focused upon the abundant polyphenols that are found in tea - particularly in green tea and their antioxidant effects. Polyphenols are said to neutralise free radicals which may help to halt or slowdown the onset of illnesses such as cancer and cardiovascular disease. It’s a great dieting product as it makes a perfect pudding substitute since its sweet and delicious flavour helps to curb the desire for a desert and is virtually calorie free. It contains Vitamin C and is caffeine-free. Naturally caffeine free and known to relieve stress and anxiety and with its ability to relax muscles it can also be taken to help with a good night’s sleep. Peppermint leaves are probably best known for their ability to aid digestion and settle a bloated tummy. Peppermint tea is a proven appetite suppressant, and the naturally sweet flavour of peppermint means that a cup of the infusion can stand in perfectly for dessert, making it easier to stick to your healthy eating goals. Lemongrass is rich in antioxidants so helps protect cells from cancer forming free radicals. It is said to promote healthy skin too. Ginger helps to sooth digestive systems and nausea and lowers cholesterol levels too. Its sweet flavour and virtually calorie free status make it a perfect dieting aid. Enjoy a cup instead of a dessert to reduce cravings – and pounds!